Raising Jedi | Gather Your Creative Forces! Winter Break is Coming. I don’t know whose idea it was to have three weeks off for winter break, but I’m pretty sure he is friends with that jerk, the daylight saving guy. Remember how long it took to get the house back in order after summer vacation? If you are anything like me, you are still working on it. I have learned over the years that autism, ADHD, or childhood in general, do not like being contained. So, all throughout the year, I pour over websites such as LivingSocial and Groupon, looking for activities. I collect bounce house tickets, museum passes, anything that my little Boynado can handle. I blow them all in a couple of weeks to save my house, and my sanity. Now, I know what you are thinking. Outings can be a nightmare too. This is true. 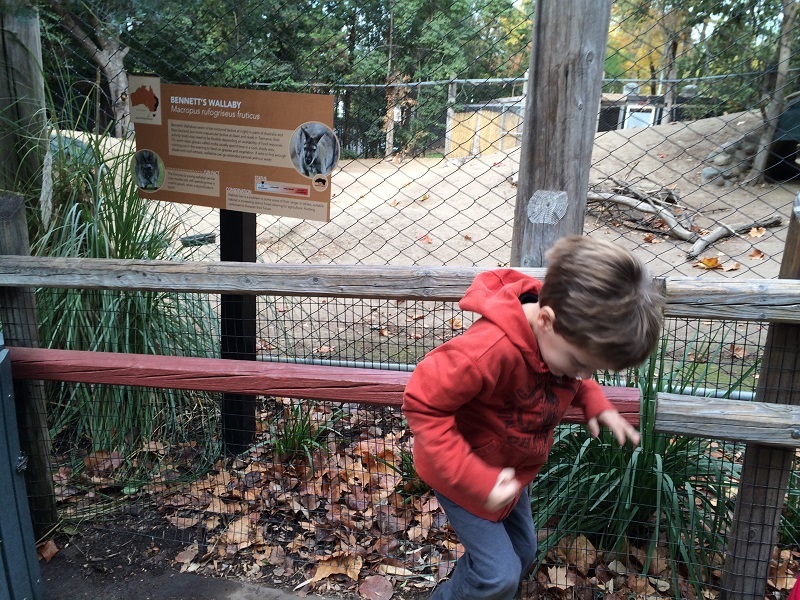 I cannot speak for another else, but my biggest issue has been getting my son to move on from a particular activity. Getting him there can be a struggle, but getting him to leave can be even worse. Last year we got zoo season passes. 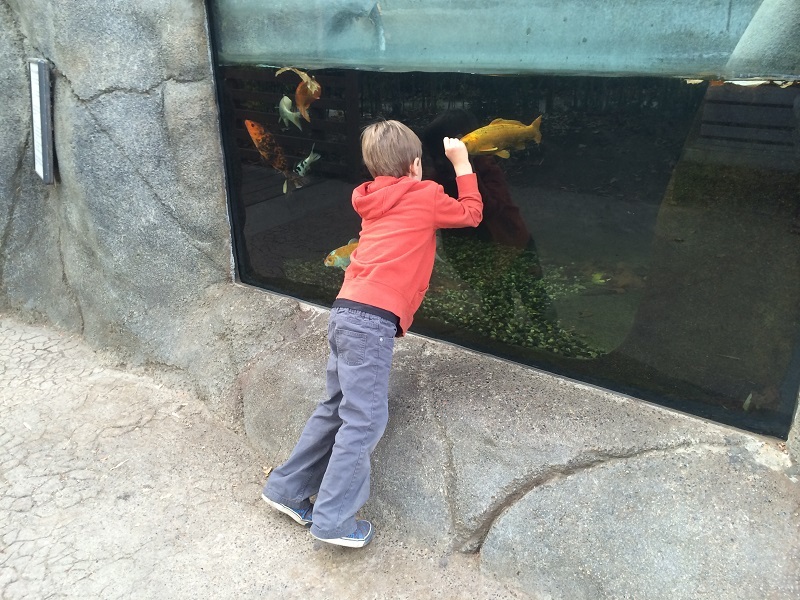 “Mommy, I want to see the koi fish!” I want to count the koi fish. There are 13 koi fish. I will count them again.” Just set that last quote on repeat. Two hours of koi fish. Can I get a zebra up in here? Anything? 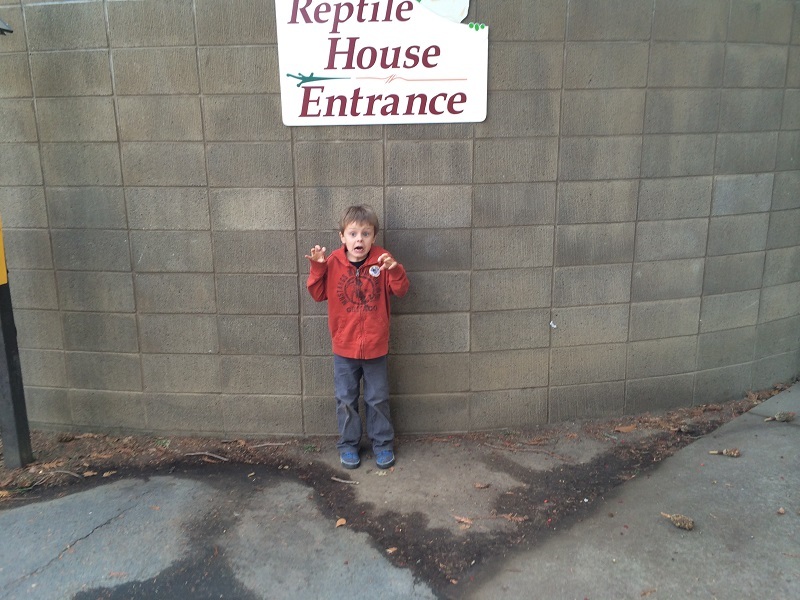 Well, there was a whole lot of vacation left and when the kiddo asked to go to the zoo again, I was less than enthusiastic. I know the trip was for him, but two more hours of counting fish didn’t exactly appeal to me. Lord help us if they added or subtracted a fish. I would never hear the end of it. Then I thought of the only thing that might un-stick my hyper-focus boy. A list! I nice orderly list. So, this one is for all the list makers and mission takers! My favorite outing ever. Introducing, the new and improved zoo day! 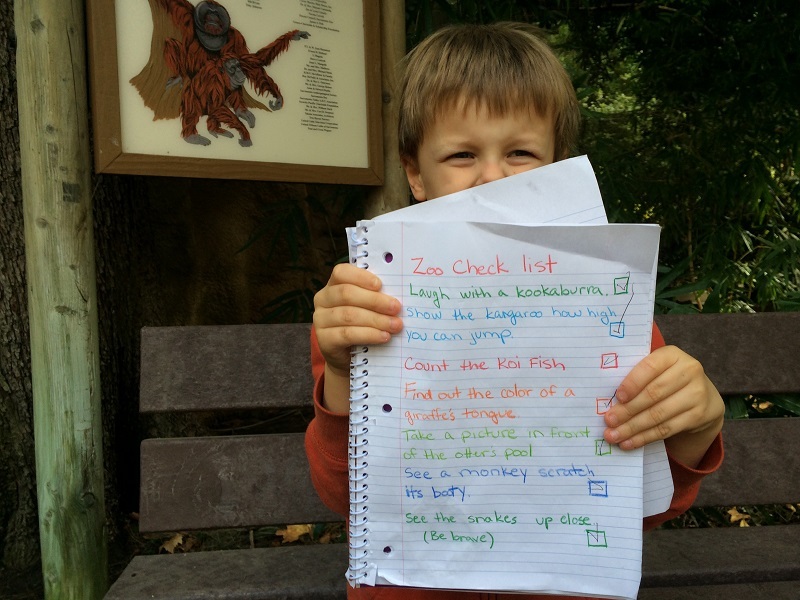 So, we had a zoo scavenger hunt! 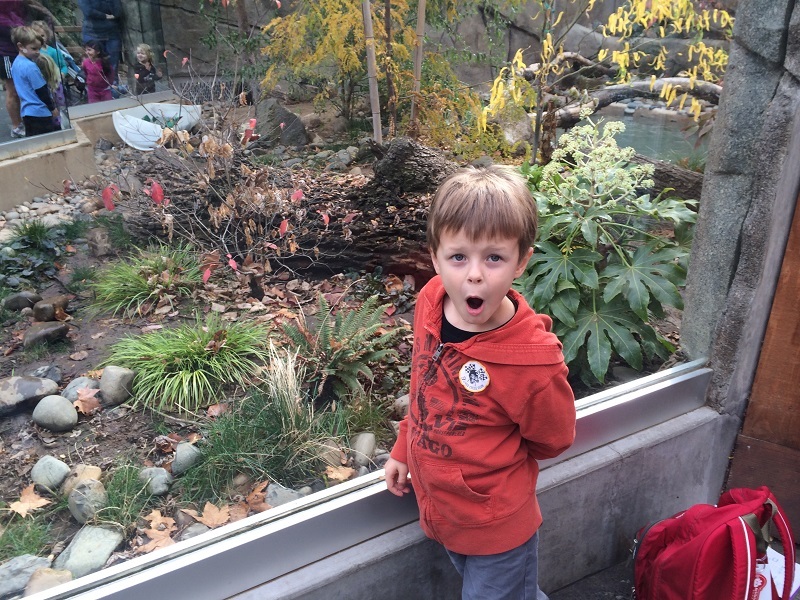 Or, “Take a picture in front of the otter’s pool! We did what we otter’. Never miss a chance to be brave! See the snakes up close! He made it! Even slip in something educational, and a little gross. What color is a giraffe’s tongue? No spoilers! We aren’t telling! I’m not going to pretend that summer, winter, and spring break aren’t challenging. In fact, I kick the coffee pot on an extra time or two to make it on some days. This is just one idea, and it may not work for everyone. However, we are autism parents. That makes us creative, strong, and amazingly adaptable. There is no fun in simply, “surviving,” school break. Let’s make it amazing! I believe! 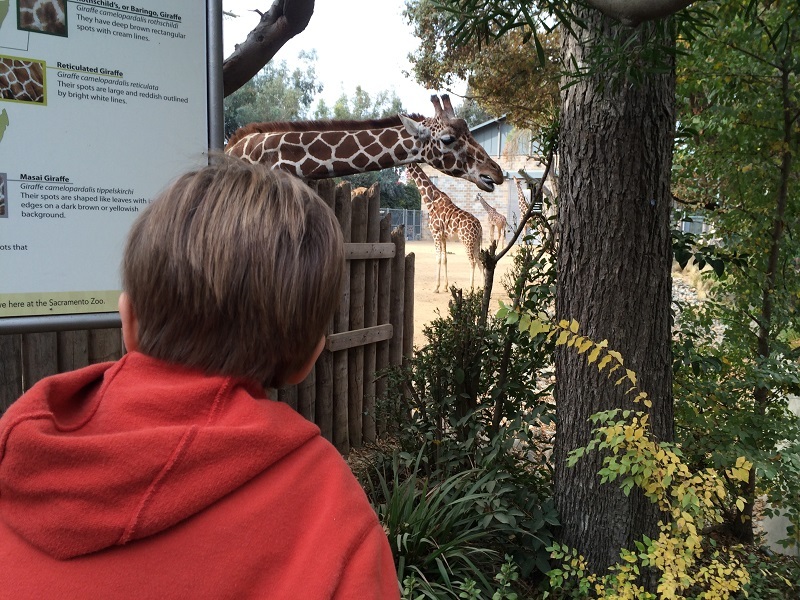 Tagged activity, autism, break, motherhood, outings, parenting, Sacramento, special needs, vacation, zoo. Bookmark the permalink.